Victim's Heartland :: Victims Heartland :: Missing :: Amber Alerts! OAKLAND (KRON) — The grandfather of a 21-month old child missing since last Thursday is appealing for the public’s help in finding Daphne Webb. Family members on the child’s mother’s side say they have set up a web site, FindBabyDaphne.com, to help get the word out about the case. Police last week issued an Amber Alert after the child’s father, John Webb, said Daphne disappeared from his car in front of an Oakland liquor store/supermarket. Webb was later arrested on Child Endangerment charges and then released. KRON 4 has learned the missing child’s mother, Kiana Davis, is not considered a suspect in the kidnapping. She reportedly has a restraining order against her in connection with a drug conviction earlier this year. When KRON 4′s Terisa Estacio asked her when she had last seen Daphne, Kiana Davis did not answer. Family members held hands and prayed before talking with reporters. It’s unclear why John Webb didn’t attend Tuesday’s event. Stay tuned to KRON 4 and KRON4.com for comprehensive coverage of the search for Daphne Webb. 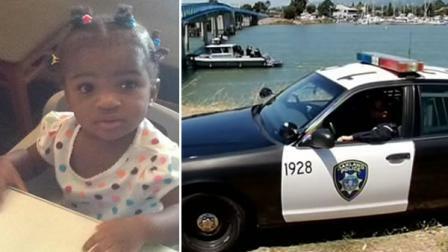 OAKLAND, Calif. -- The mother of missing 21-month-old Daphne Viola Webb was ordered not to do any harm to her daughter after being found passed out in her car with Daphne in February, according to court records. Kiana Davis-Webb, 31, also known as Kiana Janelle Davis, was arrested Feb. 18 after she admitted to police that she had consumed Vicodin and alcohol before operating a car with Daphne in the back seat, according to records. Oakland police Officer Alonzo Weatherly said in a report filed in court that a pedestrian called police "out of concern" for Daphne after seeing Davis-Webb passed out behind the wheel of her car, with the child inside. Weatherly said Davis-Webb "admitted taking Vicodin/alcohol prior to driving" and police recovered Vicodin from her purse when they searched her. Davis-Webb "apparently didn't have a prescription for it," Weatherly said. Alameda County Superior Court Judge Carol Brosnahan placed her on three years' probation, issued a protective order mandating that she do no harm to Daphne, referred her to a domestic violence/anger management program and ordered her to attend 26 parenting classes. Daphne was reported missing a week ago today by her father, 49-year-old John Anthony Webb of Oakland. Webb told police Daphne was abducted by a stranger shortly after 11 a.m. last Wednesday while she sat in a parked car with his 87-year-old mother while he went inside the Gazza Supermarket at 7838 International Blvd. Oakland police arrested Webb on suspicion of felony child endangerment later that day because they were concerned that he left Daphne in the care of his mother, as she suffers from dementia, police spokeswoman Johnna Watson said. However, Webb was released from custody Friday after the Alameda County District Attorney's Office said it's declining to file charges against Webb. According to Watson, Daphne lives with her father and grandmother at a home in the 800 block of Greenridge Drive, off Keller Avenue, in the Oak Knoll area of northeast Oakland. Davis-Webb lives at another location. Davis-Webb appeared with her father and about 30 other family members and supporters at a news conference outside Oakland police headquarters Tuesday afternoon at which it was announced that a website has been set up to serve as a central information hub in the search for Daphne. Davis-Webb didn't speak at the event. Her father, Kevin Davis, said she doesn't want to say anything because "she's too emotional for that." Oakland police don't consider Davis-Webb a suspect in Daphne's disappearance, Watson said. John Webb didn't attend the news conference. A candlelight prayer vigil for Daphne was held Wednesday evening at 79th Avenue and International Boulevard, near the location from which she was reported missing. At that event Davis-Webb sang a song to her missing child and answered the criticism that she wasn't crying enough during a recent interview. "I'm not worried about people seeing me cry enough. You have no idea how heart breaking this is. How devastating it is," said Kiana-Davis. "There's no way to express how you feel when you're child is missing and you don't know where they are and you can't find them and you can't hug them." John stood apart from his wife throughout the vigil. OAKLAND, Calif. -- Oakland police today released a new photo of missing 21-month-old girl Daphne Viola Webb in hopes that the public can help law enforcement officials find her. 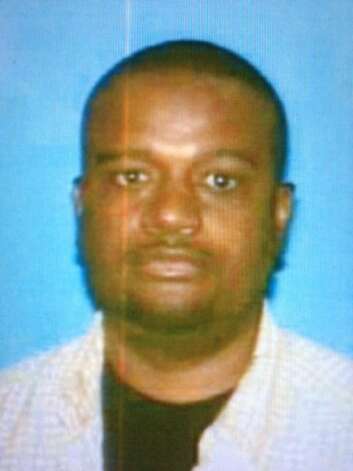 Daphne was reported missing Wednesday morning by her father, 49-year-old John Anthony Webb of Oakland. Webb told police that Daphne was abducted by a stranger shortly after 11 a.m. Wednesday while she sat in a parked car with his 87-year-old mother while he went inside the Gazza Supermarket at 7838 International Blvd. to buy something. Oakland police arrested Webb on suspicion of felony child endangerment later on Wednesday because they were concerned that he left Daphne in the care of his mother, as she suffers from dementia, police spokeswoman Johnna Watson said. However, Webb was released from custody on Friday after the Alameda County District Attorney's Office said it's declining to file charges against Webb at this time. Watson said today that in conjunction with releasing a new photo of Daphne as well as a photo of Webb's vehicle police are asking for the public's help in establishing a timeline of when Webb and Daphne were last seen together. Daphne is described by police as black with short, curly black hair, a deformity in her left ear and as 2 feet tall and 30 pounds. Police are still seeking and treating as a suspect a woman described as black or Hispanic and in her 30s with long black hair, wearing a light-colored top and blue jeans, who witnesses said they saw seen walking away from the Gazza Supermarket area Wednesday morning with a girl similar to Daphne. However, Watson said no one has reported actually seeing Daphne get abducted. Daphne lives with her father and grandmother at a residence in the 800 block of Greenridge Drive, off Keller Avenue, in the Oak Knoll area of northeast Oakland, according to Watson. Daphne's mother lives at a separate location but has been cooperative with police and isn't considered a suspect, Watson said. Oakland police, with the assistance of the FBI and other law enforcement agencies, have searched for Daphne at a number of locations but haven't found her yet. Watson said anyone who saw Daphne or Webb's vehicle in the vicinity of the Gazza Supermarket shortly after 11 a.m. on Wednesday should call Oakland police at (510) 238-3641. Was Daphne Webb Truly Kidnapped? Daphne Webb remains missing, [You must be registered and logged in to see this link.] out flyers in hopes of keeping awareness up in the search for her. However, the numerous details that are available in this case hardly make it hard to believe that this tot was truly kidnapped. John Webb claims that she was last seen about 10 days ago when he left her in his car with his disabled mother. He was gone just a few minutes to buy a drink, but when he returned the child was missing. He claims that a Hispanic or light-skinned black woman kidnapped the little girl from the vehicle. However, family members of the little girl claim that she hadn't been seen for about two weeks prior to this alleged kidnapping incident. This kind of poses a conundrum for people watching the case, because John Webb is reportedly a "nice guy" who has already raised children into adulthood as a doting father who taught his daughters self-defense. His neighbors speak highly of him, so why would he lie about the disappearance of his little girl? On the other hand, Daphne's mother doesn't have that stellar of a record. She was ordered to have "limited contact" with her child after an incident that left her unconscious behind the wheel of a car with the child strapped into her seat in the backseat. She had been ingesting illegal prescription drugs with copious amounts of alcohol. So there is already an established incidence of child endangerment -- something that John Webb was nearly charged with not long after reporting the little girl missing. What do you think happened? Was Daphne Webb kidnapped by this elusive Hispanic or "light-skinned black" woman? Or are the little girl's loved ones correct in saying that she was missing for several days to two weeks before she was even reported missing? OAKLAND -- The father of a missing 2-year-old girl and the only person of interest in her disappearance last July was found dead in his home last Friday and family members say he killed himself. John Webb, 50, was found by an adult daughter in his home on Greenridge Drive about 8 p.m. Friday, police said. On July 10, Webb reported to police that his daughter, Daphne Viola Webb, who was 21 months old at the time, had gone missing just after 11 a.m. He told police that he left the girl with his 87-year-old mother, who has dementia, in his Ford SUV while he made a quick purchase at a convenience store at 79th Avenue and International Boulevard, then returned to find she was gone. Despite a massive search that focused on various locations around the East Bay, including the area around John Webb's Oakland home and the Martin Luther King Jr. Regional Shoreline, near Oakland International Airport, the girl has not been found. From the start, investigators questioned John Webb's story. The day after the girl's disappearance, he was arrested on suspicion of felony child endangerment, but prosecutors declined to file charges, and he was released from jail. He regularly declined to comment on the case in the months following the baby's disappearance. About a month after the girl went missing, other relatives publicly questioned John Webb's story, with the child's grandfather calling his claims "fishy." Now, his death leaves the baby's family with even more unanswered questions. "He was the last person who was with her so obviously he would know of her whereabouts," said the child's great-aunt, Roslyn Robinson. "At this point, we have closure on him but not on her." Police have described only one suspect: an unidentified black or Hispanic woman between 30 and 40 years old who had long, straight black hair and was wearing a light-colored shirt and blue jeans. At least two people said they saw the woman with a child matching the girl's description and also wearing pink socks. But that story never panned out. "The story of someone snatching her out of the air is kind of far-fetched," Robinson said. Robinson said Webb's death was a suicide but said she did not have details of how Webb killed himself. Police on Monday night said that the death is still classified as "unexplained." An autopsy Monday showed no signs of trauma to the body and police said there was no evidence of foul play. Police searched the Greenridge Drive house, where Webb lived with his elderly mother, on Monday, but did not disclose what they found. It will be four to six weeks until toxicology reports come back from the Alameda County Coroner's office. In the wake of his death, police have not released any new information about the disappearance of the child. Police continue to investigate her disappearance, said Oakland police Officer Johnna Watson. 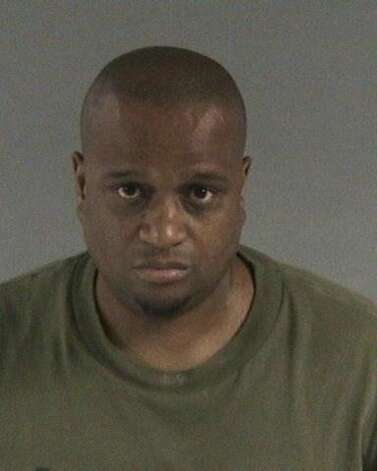 Webb had custody of Daphne at the time of her disappearance because the child's mother, Kiana Davis-Webb, 32, was living in a rehabilitation home in Oakland. Police have never named her as a person of interest or suspect. She remains in the treatment program and in January delivered a healthy baby girl, Robinson said. Webb is the father of that baby and the two remained married at the time of his death. Davis-Webb was not available for comment Monday. "She is doing as well as she can be considering the turn of events. Now she has to deal with the loss of her husband and her missing child," said Robinson. "She wants to grieve in her own private way." A reward of up to $20,000 for information leading to the whereabouts of the child. To donate, to the fund to continue searches, go to [You must be registered and logged in to see this link.] Anyone with information about the case can call the Oakland Police Department missing persons unit at 510-238-3641.